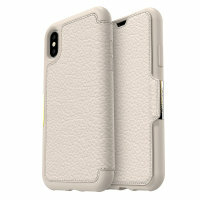 This genuine leather wallet case keeps your iPhone XS secure and enclosed in a protective cover, while remaining stylish for all to admire. 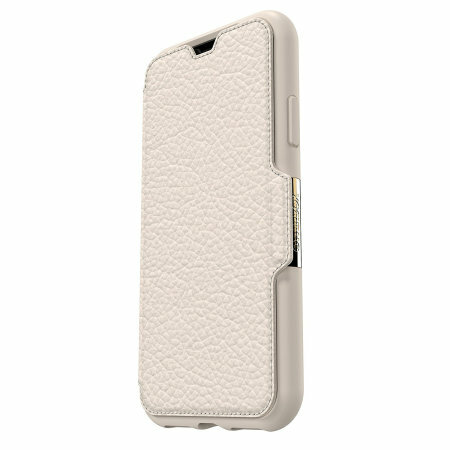 This is a premium quality case with an executive style designed by the company renowned for protecting your device... OtterBox, leaving no doubt as to its quality and phone protection. 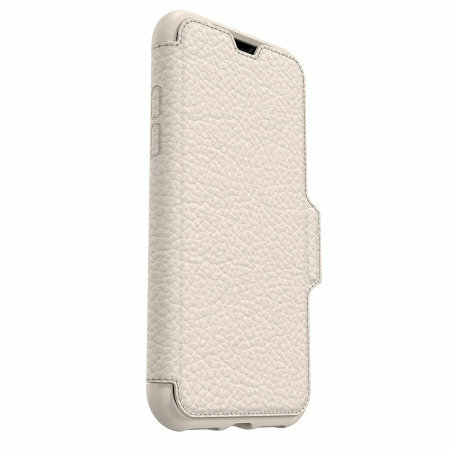 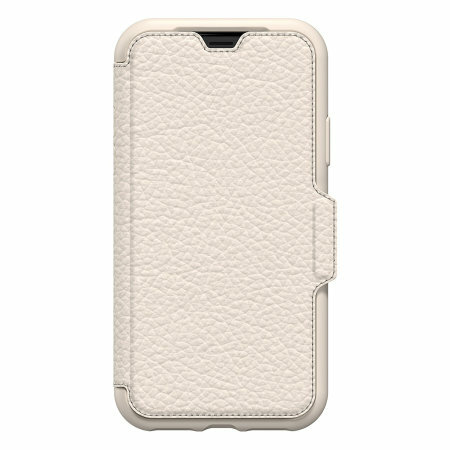 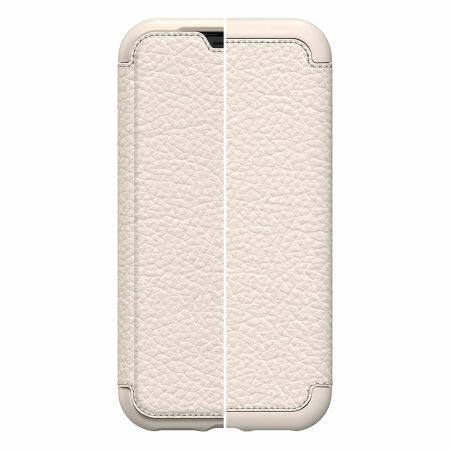 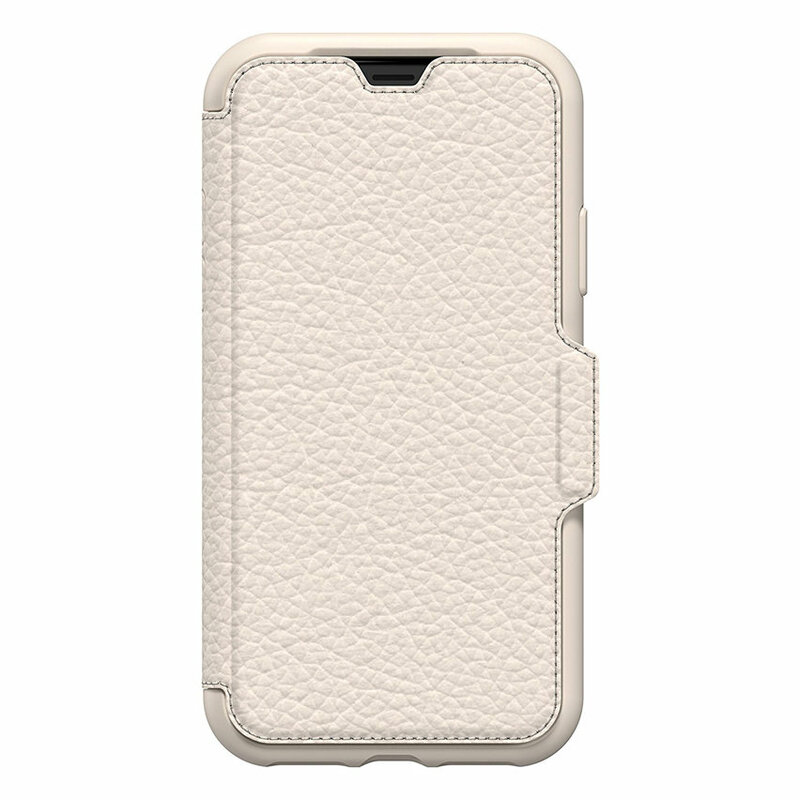 Not only will the back and edges of your iPhone XS be protected, but the screen also with this soft leather folio-style case that wraps around your phone's display - keeping it safe from harm when not in use. 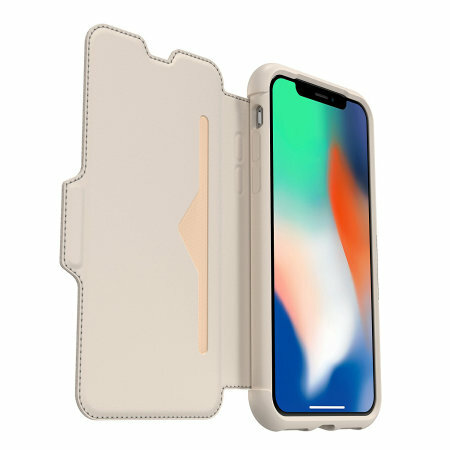 This thoughtful design has it covered with inner pouches specially designed to hold credit cards, cash, store cards, driving licence or anything else of similar size. 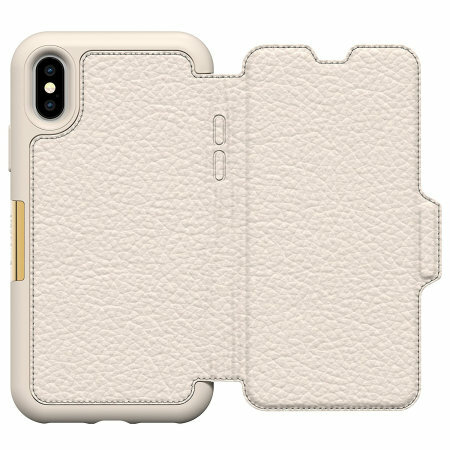 It also features a document pocket for anything larger. 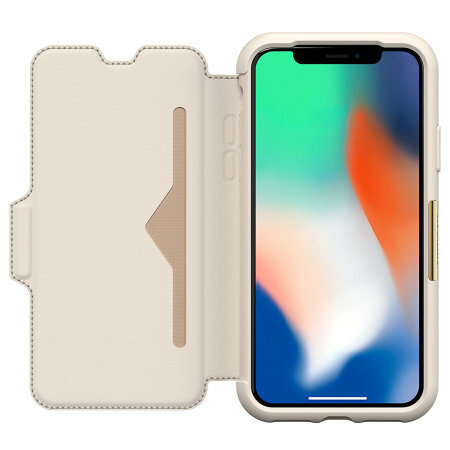 So you can leave your old wallet at home as this case has it all covered. 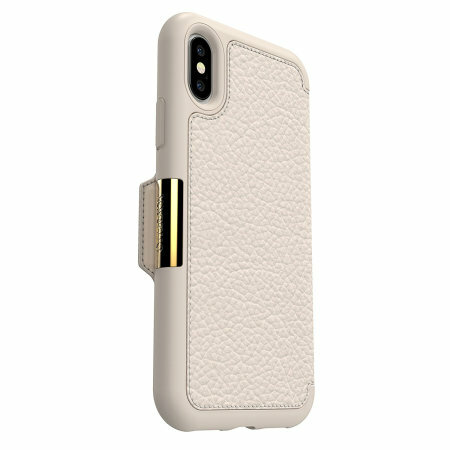 As this Strada Series case by OtterBox is designed specifically for the Apple iPhone XS, you can be sure of a perfect fit and access to all of the device's ports and features.